Well. CAD render image only folks. 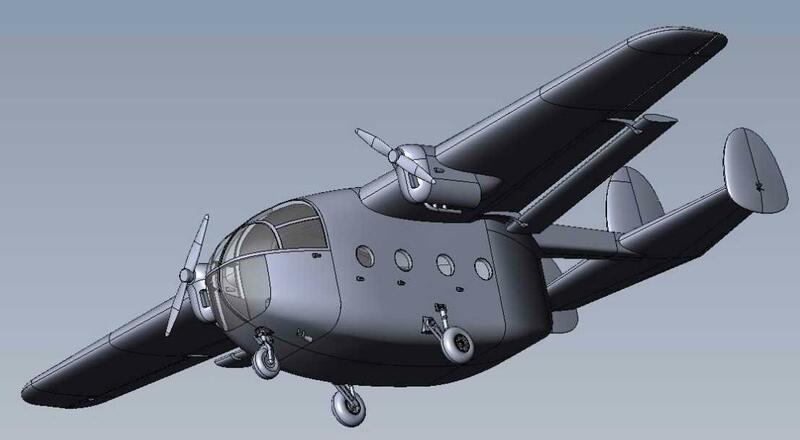 The Miles M.57 Aerovan was a British twin-engined short-range low-cost transport designed and built by Miles Aircraft. It was used for freight, joy-riding and passenger services. It was also used by many commercial operators and for some military purposes. via Wikipedia, the free etc etc.